Again, I’m not sure if you would call this a flop or a bomb. But for the purposes of this thread I’m saying that if you half the box office results (to figure out how much profit the movie actually makes) does it at least earn back its money. Peter Pan has been done numerous times with varying results. So, maybe it was foolhardy to spend $100 million on a story we’ve heard many times before. 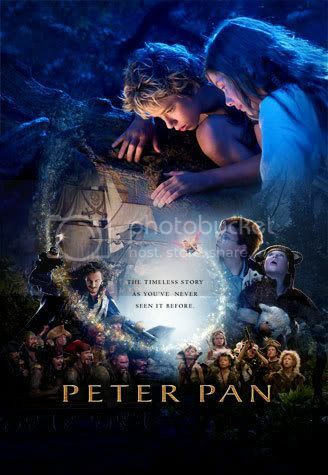 Peter Pan was an adaptation of the classic story by J.M Barrie. P.J. Hogan (Muriel’s Wedding, My Best Friends Wedding) was set to make this movie with a proposed budget of $100 million dollars. Jeremy Sumpter (Frailty) was cast to be Peter and veteran actor Jason Issacs was set to play Captain Hook. Sumpter (with the exception of a German tv version of the play) was the first male to play the lead in a live action adaptation. The movie was a costly endeavor. Sets had to be built for both Victorian London and for Neverland. Many of the scenes in Neverland (especially the flying scenes) were done in front of the green screen. Sumpter was also a growing boy and grew to 5ft 8in in the middle of filming. The set designers had to compensate for the fact he was no longer a small boy. The final budget was never released, but I heard they went way over budget. Most of the money went to the special effects and the art department (IMDb). Critical reaction was very strong for this movie. There was little advertising for this movie (at least that I can remember) and the US box office was poor. Pan made a lot more money overseas, but it wasn’t enough to recover its cost. Maybe people were still bitter about Hook. Is it any good? I think it’s a great movie. It’s the best version of Peter Pan I have ever seen. The movie is kid friendly, but also has some things to keep adults interested. Hogan does a great job at exploring the bittersweet relationship between Peter and Wendy. You can tell the money went to the art design because Neverland looks beautiful. Sumpter is well cast as Peter and Isaacs is brilliant as Hook. This really didn’t deserve to be overlooked. I will take this movie over any of the hundred animated talking animal pictures that come out every week. I recommend it. I still really like this movie. This is one of the few movies that I think is good for the whole family. For the kids you have Pan swashbuckling and plenty of funny jokes. For the adults you have a strong theme of growing up. While Where the Wild Things Are may have been a little too adult and depressing at times, Pan’s is much more subtle. While the kids (and Pan) love to have fun and games, they also realize this is only temporary. There is a time to put away childish things. Isaacs does a great job playing the stern father figure in real life and the evil manifestation of adulthood in Captain Hook. Sumpter also does a great job as the carefree Pan who at the same time realizes he can never really be with Wendy. The story hits all the great notes of Peter Pan. It doesn’t stray far from the source material but as I said, does its own things at times to make this version special. The look of the film is also beautiful as Neverland looks like it is straight out of the storybook with a bright color palette. I come into most kids movies with low expectations but this movie not only exceeded them but is a movie that I have revisited again and again. I still recommend this movie to everyone. This entry was posted on April 8, 2010 at 5:02 am and is filed under P.	You can follow any responses to this entry through the RSS 2.0 feed. You can leave a response, or trackback from your own site. Thanks for your review. I agree completely with your findings. I am surprised that it wasn’t well received when released. Hogan adapts the novel, which Barrie wrote many years after the play, very convincingly, I feel. I also agree that visually it is a truly beautiful film and the characterisation is very believable. “Peter Pan” (2003) by P.J. Hogan This story about the clash between good-looking and good-hearted children and the ugly and evil adults (not evil adults in the movie are just stupid and laughable) continues to mesmerize viewers of all ages. Children identify with their victorious peers on the bright-colored screen while adults don’t identify with Pirate Captain Hook – the villain and monster: they don’t understand that Hook is the embodiment of how they‘re perceived by children’s unconscious, and the child inside them easily overrides their adultness – the film makes them forget their age). The film is about the imaginary victory of childish idealism over the Capt. Hooky reality of the power of adults (armed in real life with physical strength, authority, money and weapon). In this sense it is a reflection of today’s mass culture (created by adults making money on infantile tastes through consumerism, playfulness and entertainment) – an artificial world which children and teenagers in their Peter-Panness are enjoying without any intervention of Pirates Hooks. But mass culture is a creation of Pirates. And in real life Pirates do intervene in children’s mass cultural paradise (with invented wars, financial meltdowns, toxic pollutants released into the natural environment, firing (children’s) fathers and mothers, and this is only the beginning. This intervention can be prevented (or at least met with resistance) only if our children will learn about the real life, the world of adults. This effective learning will be impossible if children don’t like real life – don’t like it more than items for consumption. It is exactly what movies like PP will prevent the growing children from being able to feel by radically distracting them from being interested in real adulthood, in human life in society and history. In life Captains Hooks look like children’s admired role models, for example like generals, athletes and the rich financial leaders. PP is a masterful combination of child abuse (abuse of children audience) and exploitation of recent cinematic technology with its irresistible gimmicks and special effects which make movie more real and more pleasant than reality. The producers and director want us to be hooked on their movie like on drug in order to return to it again and again (with more money). The basic idea of PP is that children’s ability to dream makes them superior to adults. And its basic metaphor is the ability to fly (personified by Peter Pan). The ability of dreamers to fly is transformed by the film into viewers’ virtual experience of flying through the use of special effects. After encounter with the movie kids will never forgive the boring reality outside for being so prosaic and dull. For the commercial success of movies like PP whole society already has started to pay the price in the form of unwillingness and inability of especially the young people to like and to understand real human life. Commercially entertaining cinema industry feeds on our beliefs/prejudices, pre-thinking emotional perceptions, paranoia/phobias, etc. and nurtures them in viewers. On the other hand, there are films that are dedicated to helping children-viewers to understand the nature of the adulthood and childhood, and what life in a society is really about. Among these films: “My Life as a Dog” by Lasse Hallstrom, “Slingshot” by Ake Sandgren, “Butterfly” by Jose Luis Cuerda, “Twist and Shout” by Bille August, and “L’Effrontee” by Claude Miller. Love the set design of this movie! I watch it over and over with my twin boys.